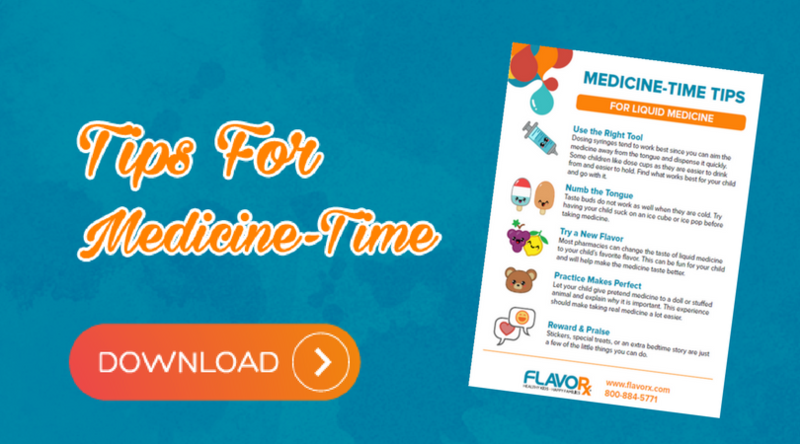 Download for tips sheet to help your kiddo take their medication and make medicine time less stressful for the both of you. Our Mission is to help you get your kids to take their medicine. Having sick kids is stressful enough. Getting them to take their medicine shouldn’t be. Copyright 2018 FLAVORx Inc. All Rights Reserved.